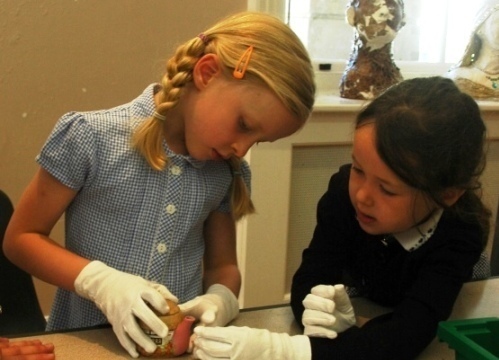 Our workshops enable pupils to explore different aspects of the Holburne’s collection, developing their skills of observation, building vocabulary and confidence in talking about the Museum collection and their own responses. Each workshop includes a practical session where pupils develop their skills in creative activities that complement and demonstrate what they have learnt in the galleries. Our workshop programme is detailed below but please call to discuss bespoke workshops (an additional £30 may apply) and subscribe here to our Priority Teacher Primary School Newsletter for special workshops linked to our high profile temporary exhibitions. Our workshops can also be adapted for small groups of pupils with special educational needs, giving added emphasis to sensory experience. The Museum is fully accessible. Please see Visit Guidelines and Hazard Identification Guidelines for further information to help plan your visit. 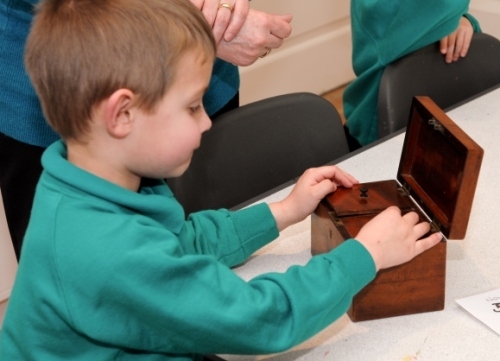 The Holburne Museum is proud to be supporting schools and education settings on their Artsmark journey, inspiring children and young people to create, experience, and participate in great arts and culture.